1 KUS SKLADOM, IHNEĎ K ODBERU. DORUČENIE DO 2 PRAC. DNÍ.Batoh Under Armor 5 je dokonalý na to, aby ste mohli ísť do telocvične alebo do..
Airwalk Essentials BackpackThe Airwalk Essentials Backpack features a zipped main opening with a front accessory pocket for additional stora..
Lonsdale Mini Backpack This Lonsdale Mini Backpack is great for carrying your everyday essentials around or for youngsters to use as a schoo.. Hot Tuna Explorer BackpackThe Hot Tuna Explorer Backpack benefits from a compact size with a generous 10 litre capacity making it ideal for .. Hot Tuna Galaxy BackpackThe Hot Tuna Galaxy Backpack features a zipped fastening to a spacious main compartment, complete with adjustable sh..
Karrimor Dry Bag The Karrimor Drybag is an essential accessory for your next adventure, with a waterproof design and a durable nylon taffeta.. 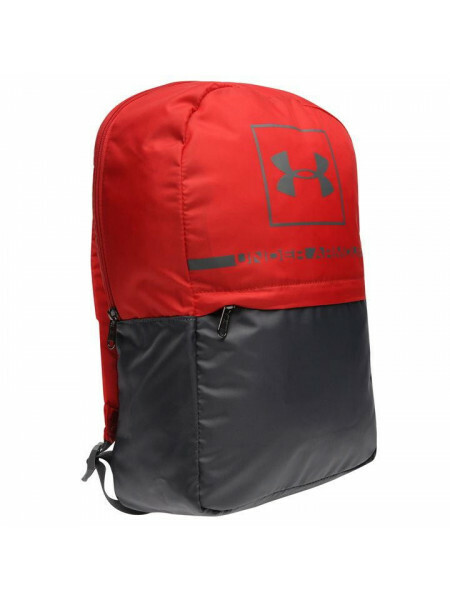 Ocean Pacific BackpackThe Ocean Pacific Backpack is designed with two adjustable straps, a padded back, a zipped main compartment and a zipp..
Airwalk All Over Print BackpackThe Airwalk All Over Print Backpack is a great storage solution on the go. Built with a main zip compartment ..
Lee Cooper Marl BackpackThe Lee Cooper Marl Backpack features two adjustable, mesh lined shoulder straps with a zipped main compartment and ..
Star Insulated Lunch Backpack Unisex Childrens The Star Insulated Lunch Backpack features a zipped fastening compartment with internal pocke..
Miso Sequin Small Backpack The Miso Sequin Small Backpack has been crafted with a zip fastening main compartment with an open inner sleeve a..
Star Toddler Reins 2 Backpack Infant Boys The Kids Star Toddler Reins 2 Backpack is perfect for letting your little one carry their own thin..
Star Toddler Reins Backpack Infant GirlsThe Kids Star Toddler Reins Backpack is perfect for keeping your little one close by while providing..
Karrimor Rucksack Rain Bag Cover The Karrimor Rucksack Rain Bag Cover offer rucksacks protection from the elements with a strong, water resi..
Lonsdale Sport BackpackThe Lonsdale Sport Backpack features a spacious main section with added accessory pockets to the front, complete with..
Marvel EVA Junior Backpack The Kids Marvel EVA Backpack features a zip fastening main compartment along with a padded and adjustable shoulde..
Miso Sequin Medium Backpack The Miso Sequin Medium Backpack features a large zip fastening main compartment with an open inner sleeve along ..
No Fear Urban BackpackWhen you just can't leave your belongings behind, and need a stylish accessory to accompany your look, the No Fear Urb..
NUFC Core BackpackThe NUFC Core Backpack is designed with a main zip fastening, front zip pocket and side open pockets, for a variety of sto..
Star Backpack Junior Boys The Kids Star Backpack is perfect for keep your little ones close by, featuring a cute character style backpack wi..
Star Backpack Junior Girls The Kids Star Backpack is perfect for helping keep your little one close by while out, featuring a webbing strap ..
Star Graphic Backpack This Star Graphic Backpack features a fun all over print with a zipped main section and external accessory pocket, com..
Star Graphic Backpack Childrens Little ones can carry their essentials in style in the Star Graphic Backpack, crafted with a zip fastening m.. 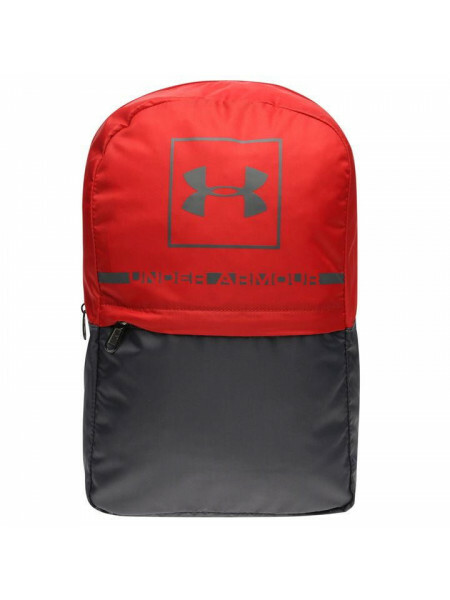 Character Classic Backpack Great for youngsters heading to school or activities, the Character Classic Backpack features a main zip fastenin.. Character Pocket Rucksack The Character Pocket Rucksack offers a great look for any youngster thanks to the large character styling to the ..